No matter how organised you are, I think we can all agree, moving house doesn't always go to plan (take it from the gal who swears by making to-do lists for everything). It was a Saturday not too long ago we rocked up to our new flat, boxes in hand, to be greeted with some surprises. We found a few pieces of furniture that the last tenants didn't want, one of the things being this giant black wardrobe. 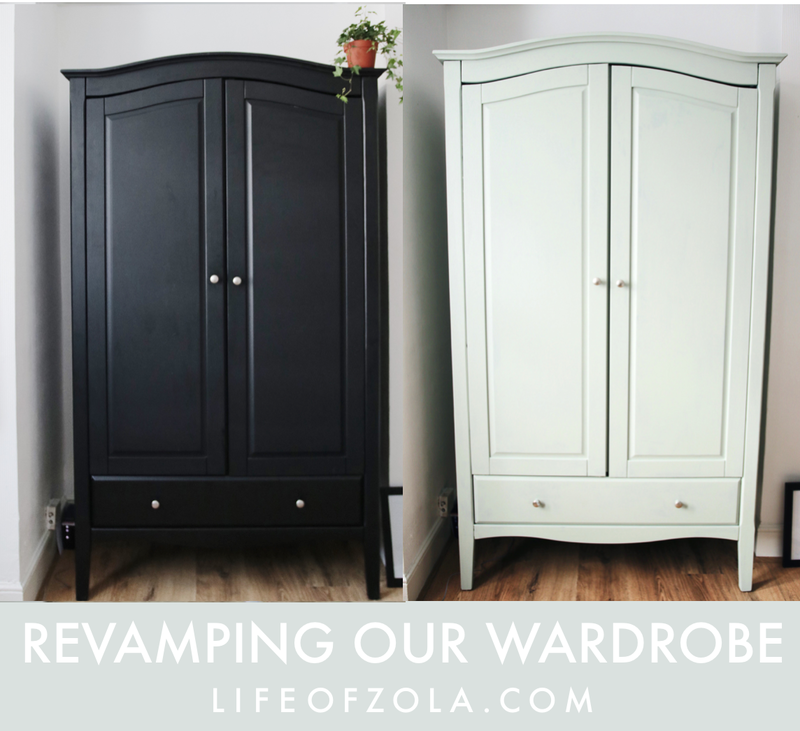 We had planned to buy a new wardrobe that weekend, but the one left was in such a good condition, it almost seemed like a waste to have it taken away. After all, I can name very few people who want to end their moving day by attempting to put together an IKEA pax wardrobe from scratch. So after some umming and ahhing, we decided to treat this as a blessing in disguise and hatched a plan to turn the wardrobe into something that would fit right into our new home. Overall, I'm so happy with the outcome. The colour has created such a homely, cosy touch to the room that the black didn't bring at all. If you want to know any more about this project, leave me a comment!